The department of Applied Sciences and Humanities includes the faculty of Chemistry, English, Mathematics and Physics. The department caters to students of nearly all semesters learning these subjects in one form or the other. 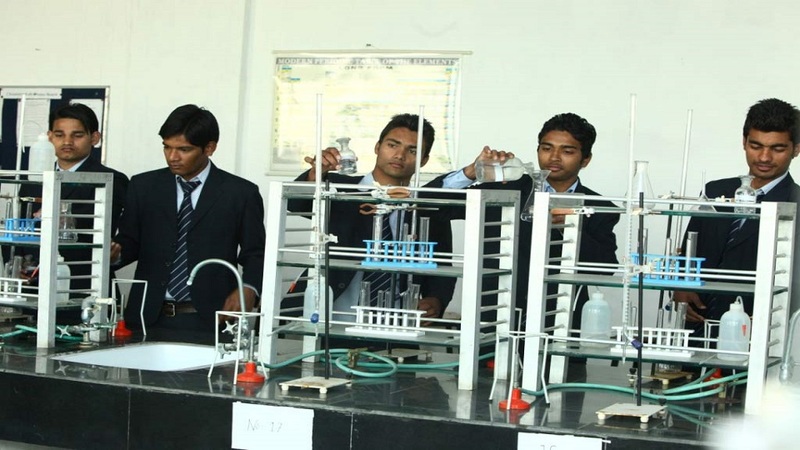 The students of B.Tech join the college under this department and are taught subjects common to all branches of engineering. Just as a strong foundation is needed for a strong building, the Applied Sciences and Humanities department provides for a strong base of the students of engineering. The research work carried on by the department has been commendable. The faculty members are either Doctorates or have been registered for Ph.D in institutions of repute. The department also holds the honour of having as many as 18 papers in journals of national and international repute. Besides the subjects laid down by the university, the students are also given exposure to various cultural, literary and sports activities. Measuring up to the standards of the saying, ‘Well begun is half done‘, the department ensures the proper guidance to the students in all fields of academics. The students are made to feel at home. It is also ensured that they get a conducive environment for study. A proper blend of academics and personality development guarantees that we are nurturing the future technocrats who would not only coin a place for themselves but would also bring honours to the institute. The Department runs many Personality Development Programmes and technical education orientation programmes to develop inter-personal skills among the technical aspirants. The STIC activities are held every alternate week where the students are given a platform to show case their skills in various competitions held for Debate, Group Discussions, Technical Poster Presentations, Quiz etc. Language Lab for professional communication skills. Personality Counselling Sessions by experts. Dr. Leewis has attained his doctorate in Solid State Physics from Dr. B.R. Ambedkar University, Agra in 2007. He has completed his integrated M.Sc. in Solid State Physics and Electronics from Agra University, Agra in 1987. He has an experience of more than 15 years being the Head of a senior secondary school, New Delhi, from 1993 to 2008. He has been the observer of CBSE for 12 years. Has published 11 Research papers in International and National journals and attended numerous conferences at International and National levels. He Was awarded ‘Best Lecturer ‘by the Delhi State Government in 2005. He was Winner of the ‘Best Faculty Award’ at DCTM in 2012. He was the Associate member of ”Institute of Nanotechnology” , U.K. He was the Member of the ‘Green Heritage’ organized by the Delhi State Government He was awarded prof: C. L. Bhal award for his contribution in DC TM 2016-17.